A Cocktail Night in Newcastle! Get away for the night to celebrate your hen weekend in the UK’s party city Newcastle, and enjoy cocktail night like no other! A cocktail making class is the perfect way to spice up any hen party celebration, and with this 1-night package you can treat yourself to a night away with the girls before the big day. It’s also a great opportunity to see some of the famous landmarks around Newcastle and experience something new during your hen weekend. When venturing across the country for the night, you want to be sleeping somewhere that offers a bit of luxury and somewhere you can get glammed up for your night on the toon. This hen party package includes a 1-night stay in a 3-star hotel right in the heart of Newcastle, meaning easy travel to and from your activities and train/bus stations. Your stay also includes a hot breakfast after your night out, and a restaurant and bar to enjoy throughout the 2 days. When you’ve freshened up and are ready to hit the nightlife, head over to your cocktail making hen party that will be situated close to the hotel. Cocktail making is the most popular hen party experience, and we can totally see why. 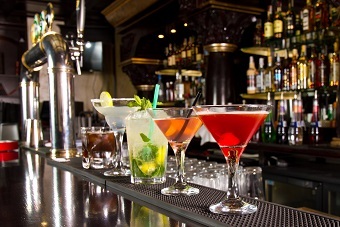 After your welcome drink on arrival, get stuck in mixing, shaking and muddling a variety of cocktails while learning some tips from your bartender. When you’re finished testing and making, you’ll have some reserved seating to enjoy your creations and a food platter while chatting with the girls. When you’ve finished mixing your drinks, check out your Newcastle’s local bar guide for the next spot to go to. We’ll provide you with this guide full of popular, unique and quirky bars before your weekend begins, so you can save some time looking around and find a bar that’s the perfect fit for you. The local bar guide is specific to Newcastle and handpicked by us, with most bars offering a stylish and chic feel to carry on your evening. Need help planning a hen party? If you’re still in the party mood as the night goes on, this package also includes nightclub entry passes for everyone in your hen group to Newcastle’s Tiger Tiger! One of the most popular nightlife hotspots, this Tiger Tiger offers 7 different rooms to cater to everyone, including a luxurious White Room and the crazy, disco themed Groovy Wonderland. Your nightclub entry will mean avoiding any queues to enter the club, as well as extra costs on the door for a hassle free night out. If you want to let your hair down with this Newcastle Cocktail Making hen night, don’t hesitate to call us on 0161 341 0052 and our events planners will be happy to pass you some more information, or simply organise the whole thing for you.